Yukon is Canada’s most northwestern territory, a wilderness of stunning beauty. Its clean crisp air, endless skies, pristine wilderness, forested valleys, and crystal clear waters forming gigantic lakes provide good reasons for visitors to come. The nights are also lit with illuminated colors known as the Northern Lights (or aurora borealis). The population of Yukon is only 31,000, despite having a land twice the size of Great Britain. 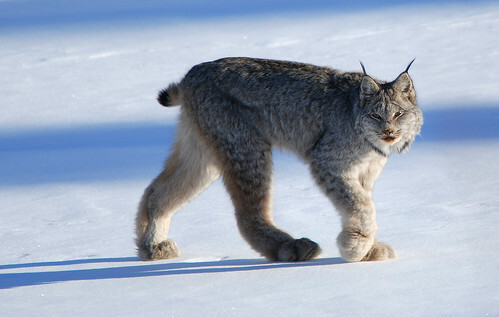 The Yukon is among the few places left in the world where wildlife can be observed in their natural habitat. When news broke out to the world of the vast gold finds in the Yukon, thousands from around the world flooded into the region, spawning settlements and leaving behind decaying ghost towns after rumors of larger finds elsewhere lured prospectors away. It all started in 1896 when a prospector along with two of his Indian companions struck gold in Bonanza Creek near the Klondike River. Word spread quickly and people around the world as distant as Germany rushed into the Yukon, creating the last great North American gold rush. Some 60,000 mena and women trekked their way to the Klondike Valley that same year. By the end of the gold rush in 1904, an estimated 80,000 people had streamed into the area in search of riches. All told, over $100 million worth of gold was extracted from the valley’s streams and rivers, but none of the mines still operate today. Today, the Yukon gold rush, or Klondike Gold Rush, is remembered as the greatest in history with prospectors. Gold Rush towns like Dawson City still provide glimpses of what life was like during these boom-and-discovery days, serving “prospector” meals of pancakes and sourdough bread and saloon cocktails and whiskies. While gold still bewitches many visitors, most come nowadays to hunt big game such as caribou or moose, or photograph the natural scenery of the province. They canoe along the 50 rivers, hike the numerous trails, fish the lakes for northern pikes, or just stroll leisurely while enjoying the solitude of a scarcely populated wilderness. As another attraction, you can also visit the Bonanza Creek and other legendary streams and pan for gold yourself – you might be able to find some gems, minerals, or precious stones such as topaz, amber, or jade. The Bonanza Creek Discover Claim, the site of the first gold find, is a particular favorite. Even today, the legend of the “Klondike Motherlode” still attracts many people to the area. According to the myth, all the gold claimed from the Klondike gold rush along the creeks are said to come from some source above that has yet to be discovered. Many “golddiggers” have eagerly panned various parts of the valley in search for this source. While this task has proved fruitless for many so far, scores of tourists still come each year hoping to get lucky. Yukon’s landscape is predominantly mountainous and rugged. The territory is triangular in shape. Along the eastern hypotenuse, from north to south, are a series of mountains that include the Richardson, British, Hess, MacKenzie, and Logan. In the south lie the Pelly and Saint Elias Mountains. In the southwest stands the highest Canadian mountain, Mount Logan at 5,950 meters. Between these mountain ranges are the Peel, Porcupine, and Yukon plateaus, named after the rivers that stream through them. The largest plateau is the Yukon; it has its own steep valley and mountains and is unique geologically because it is one of the few areas in North America left untouched during the last glacial age. The Yukon River is North America’s fifth longest river. It begins at Tagish Lake and works its way towards the northern British Columbia border, flowing across the Yukon and Alaska before emptying itself into the Bering Sea. This slow-moving river is a great playground for canoeists, except for a few patches of rapids and during spring floods. Government campsites as well as relics of the gold rush in the form of crumbling log cabins and abandoned mines are found all along the banks. Every community in the Yukon Territories has an airport, but the only international airport is at Whitehorse, which has routes to Vancouver, Edmonton, and Calgary as well as to Fairbanks and Juneau, Alaska and Frankfurt, Germany. There are several routes that enter Yukon, including the Klondike Highway which runs from Skagway, Alaska through Whitehorse to Dawson City. The Haines Highway goes from Haines, Alaska to Haines Junction, Yukon. The Alaska Highway, however, is the main entry into the Yukon. This highway runs diagonally from northwest to southeast at its starting point, Delta Junction, Alaska passing through Whitehorse on its way to its endpoint, Dawson Creek, British Columbia. Stretching 2,400 kilometers long, the highway was built in nine months during WWII by the Americans who wanted a safe route by land to Alaska to help fend off the Japanese who were attacking islands off the coast. Also notable is the Dempster Highway, which is not only the road to use when traveling to and from the Northwest Territories, but is also a scenic highway. The Dempster runs from the Dawson City, Yukon to to Inuvik in the Northwest Territories, and is Canada’s most northerly highway and the only public highway to cross the Arctic Circle. Nicknamed “the road to adventure”, this drive passes by stunning views of the mountains and offers the unique sight of cone-shaped ice hills. These pingos, as they are called, form in areas where the permafrost is hundreds of meters thick. Along the way, you’ll see roaming bears, moose, wolves, grouse and even migrating caribou herds, but only in the summer.